Britax Römer Swingfix i-Size seat is among the best ones in the ADAC, 2018 test. It was tested in the i-Size (up to 105 cm) category together with other 13 seats. 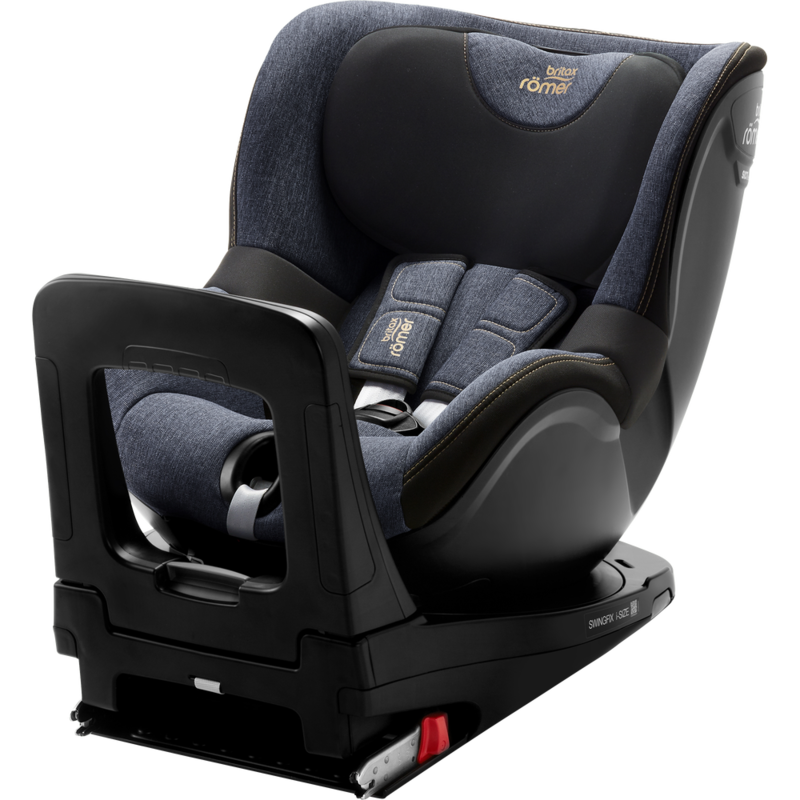 ADAC rates it a safe, but extremely heavy seat (16,3 kg) that can be used from birth, but only in rearward-facing position. Even though it is also for newborns, it cannot be used as a carrier – for instance for me it would have never been a problem as I never used a safety seat as a carrier, I preferred putting them into a carry-cot on the pram and I simply carried them in my hand when we went to the car. However, you might consider if it is a problem for you before purchasing. You can put your child into the seat easily thanks to its lateral rotation towards the door. The cover is removable and can be washed in a washing machine. A newborn insert is included for maximum safety and comfort for the smallest ones. You can turn the seat by 90 degrees when the car is parked so that you can place in your child easier. The rebound bar can be adjusted by 8 degrees to make your seat perfectly fit on your car seat and to give extra leg room for your child. Superior Side Impact Protection (called SICT) keeps your baby out of harm coming from a side crash and absorbs the energy. By using a rearward-facing seat longer, you protect your child’s head and neck which are not strong enough at this age. The seat is designed to be put into several recline position to find the one that best suits your baby’s age and mood. The side wings are deep and softly padded to provide comfort and safety. V-shaped headrest controls the child’s unintended head movement while on the go. A 5-point harness is not even comparable with a 3-point one – so it is not a question that Britax Römer only provides seats – obviously including Swingfix – with a 5-point harness. The support leg’s height is adjustable to fit in your car. The seat is available in 5 different colors. I hope you liked this review and if you have any question about the Britax Römer Swingfix i-Size seat or want to leave your own personal experience, leave a comment below.